This outfit is great! Love the heels and distressed denim! I absolutely love this look! 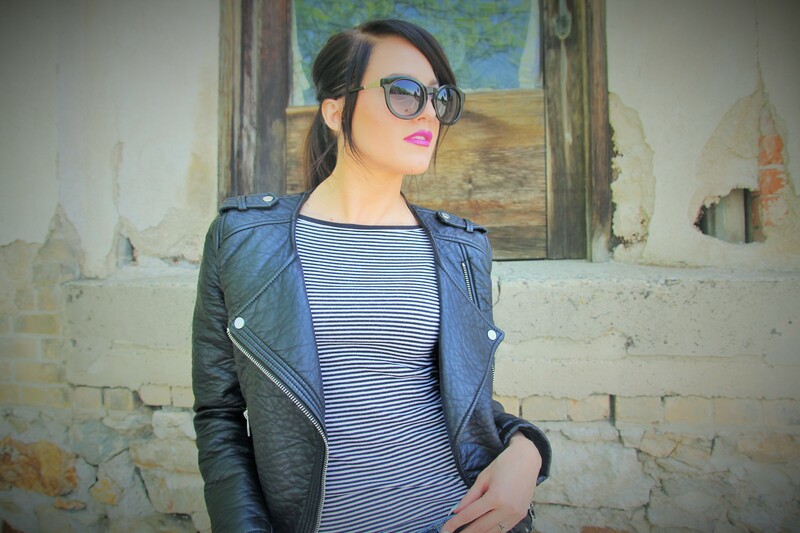 Your striped tee is so chic with your leather jacket! You look amazing! 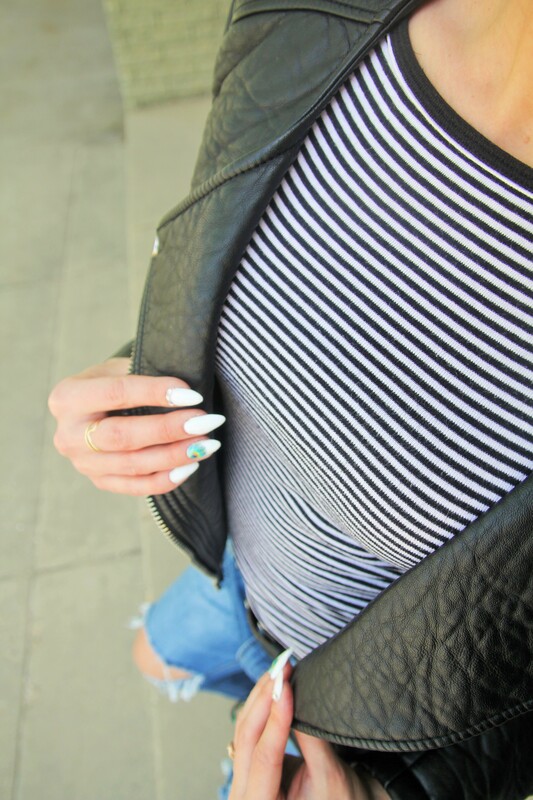 I love the stripes and leather together! The distressed denim adds perfectly to the edginess! 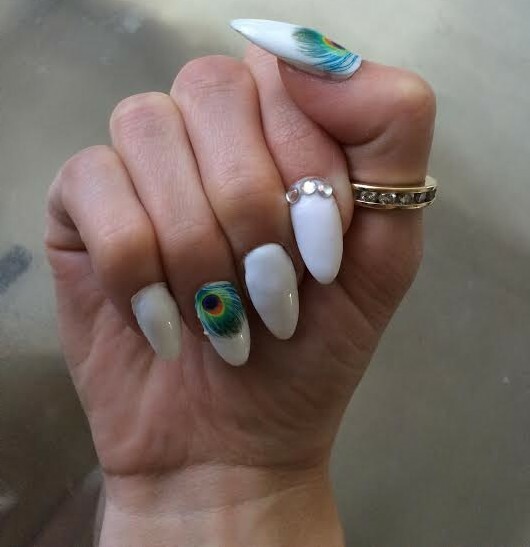 Those nails look like so much fun! It definitely reminds me that I should probably paint my nails again. I also like your jacket too. Thank you Monika! I totally know what you mean!